Great and friendly staff! Upgraded room with kitchen and all necessary things. Very good location for business trip! Perfect hotel for a family with 3 kids. Small kitchenette which made the stay very enjoyable. The room has a balcony, comfortable seats and is very clean. The breakfast offers fresh products and all you wish for in an continental breakfast. Staff is very friendly. 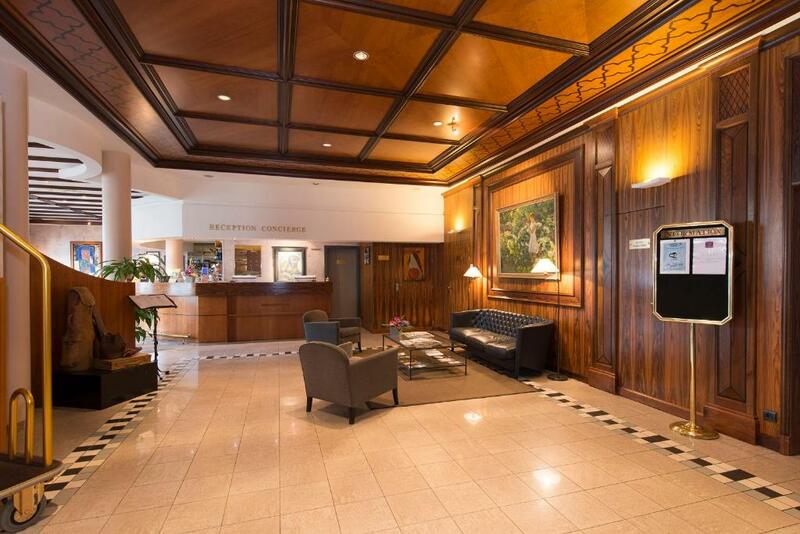 Location is perfect, car can be parked in a secured garage. The l’orangerie Parc is in front of the hotel which has a lovely playground and where you can have a walk or picnic. The neighborhood was distant from the city center, but very beautiful. Nice balcony. Friendly staff, very helpful. 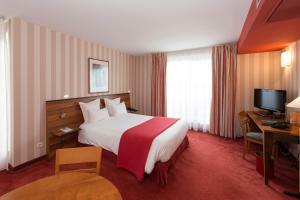 Nice large and comfortable room, well equipped. Great staff, super roomy, huge balcony, room service breakfast at no extra charge was so nice and an easy way to get everyone up and moving. Beautiful orangerie park across the street. The apartment was spacious. We had a balcony that we used for a late night wine drinking while kids were sleeping. Bath was very big and had a bath tube and a shower cabin so two people can take a shower at the same time. We had a small kitchenette that had everything we needed for our short 3-day stay there. The hotel is in a very quiet and nice area next to a park and a nice restaurant if you don't feel like going to the centre. Centre was 5 min by car. You can park for free on the street in front of the hotel. I liked the curtains that didn't allow the sun to wake you up in the morning. Very clean, great services, extremely calm and nice location. Great place to stay! The receptionists were really helpful and kind! I recommend 100%!!! Lock in a great price for Le Jean-Sébastien Bach – rated 8.4 by recent guests! 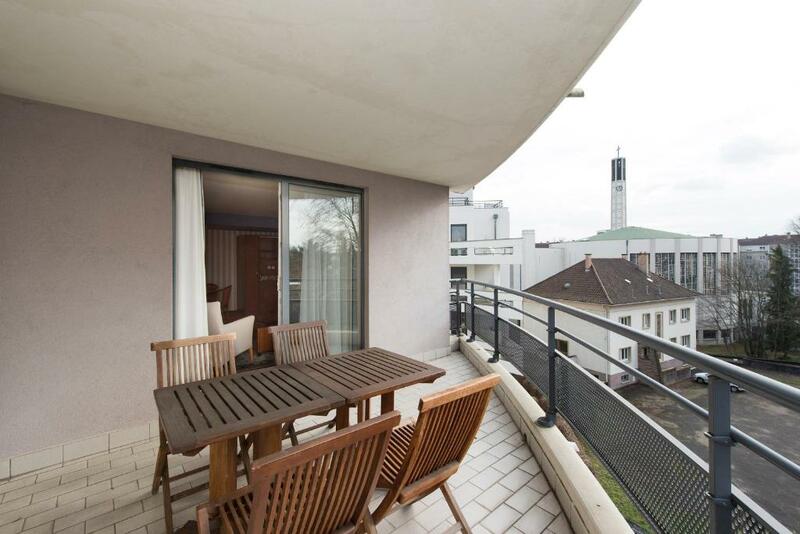 One of our top picks in Strasbourg.This residence is located opposite Parc de l'Orangerie and the Parliament. It offers spacious, elegant rooms with a private balcony and free Wi-Fi access. The air-conditioned and soundproofed apartments and studios are in a modern décor and have a furnished terrace. They feature a fully equipped kitchenette, flat-screen TV with satellite channels and a seating area. A buffet breakfast is served daily from 06:45 until 10:45 in the stylish dining area or on your terrace. 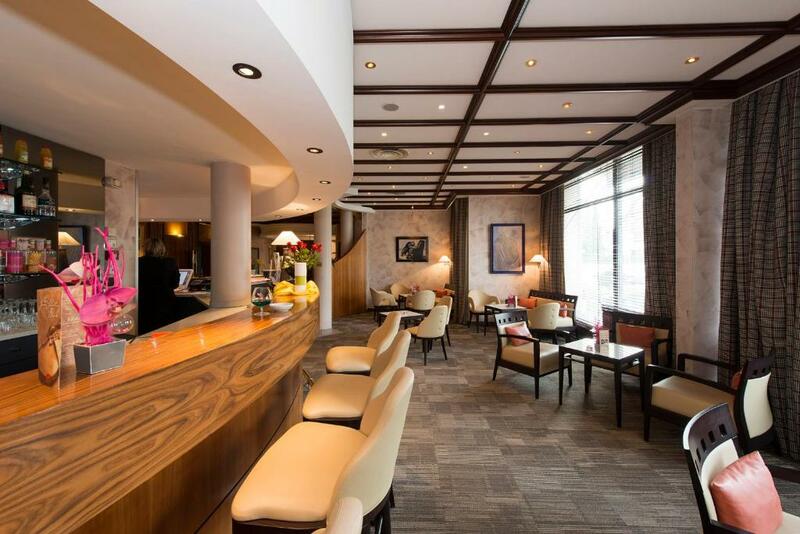 Guests can enjoy a drink at bar Le Concerto, open 24 hours a day. 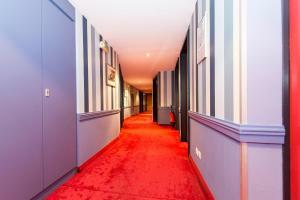 When would you like to stay at Le Jean-Sébastien Bach? With a balcony and air conditioning, this room includes a flat-screen TV and a kitchenette with a minibar. Air-conditioned room with a balcony and flat-screen TV. Includes a kitchenette and a separate room with a sitting area. Air-conditioned room with a balcony and flat-screen TV. Includes a kitchenette and a separate room with a sitting area. Extra bed is supplied upon request only. Air-conditioned room with a balcony and flat-screen TV. Includes a kitchenette with a minibar. 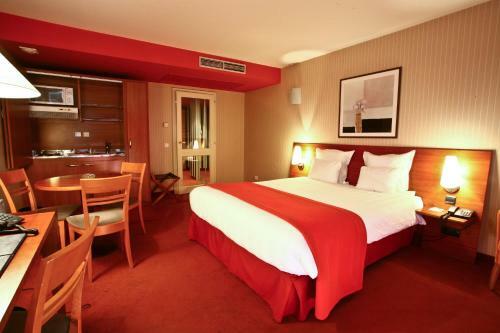 This spacious suite is air-conditioned and features a separate room with a sitting area and a minibar. This suite has a microwave, stovetop and bathrobe. 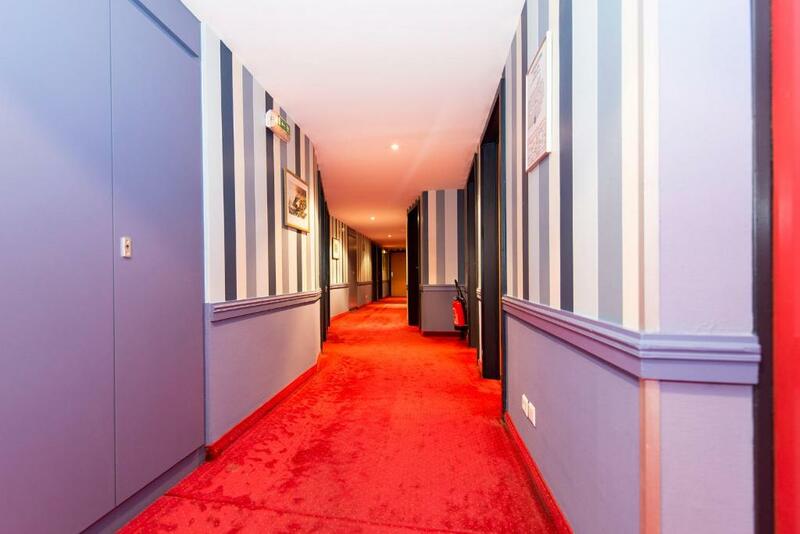 In The Jean Sébastien Bach all the rooms are equiped with a kitchenette, Balcony, satelite Tv channels, very spacious rooms that can receive until 5 person our hotel has also suites that have seperated rooms and also communicating rooms all this in a very nice area of strasbourg close to the europeen parlament and the famouse parc de l'orangerie. House Rules Le Jean-Sébastien Bach takes special requests – add in the next step! Le Jean-Sébastien Bach accepts these cards and reserves the right to temporarily hold an amount prior to arrival. Small room. Unpleasant smell. Humidity in the room. The wi-fi came in and out a bit. A lot of space in a double room. Good parking situation. Hotel is in a good neighbourhood. Wifi connection to be renewed every now and then. The hotel room was nicer in person than in photos, comfy beds, nice breakfast. 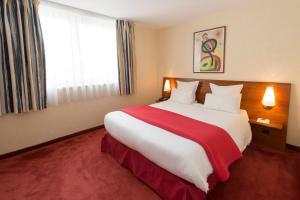 Fully equipment hotel for long and short term business travels, and of course for tourists. Very good and quite hotel, good kitchen and balcony. It was impossible to find parking in the street, so I used hotel parking. Very friendly personnel. The breakfast was good with well prepared Food.